Ministry is hard work and emotionally, spiritually, and physically taxing. Pastors are burning out and leaving the ministry at an alarming rate; divorce is still a common occurrence among pastors and church leaders; and depression and anxiety among those in ministry are all too common. Far too often, it’s due to putting the needs of the church ahead of the needs of the family. Pope John Paul II said, "As the family goes, so goes the nation, and so goes the whole world in which we live." While God calls all of us to serve our neighbor, the institution of the family is the foundation from which we can summon the strength to help others. 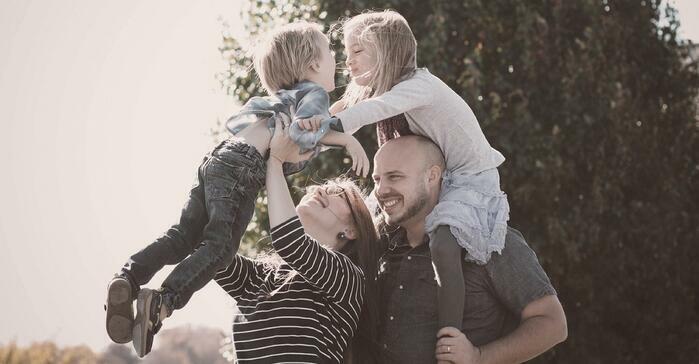 Here are four steps you can take to help prioritize your family so you can better meet their needs, and in the process, better serve others and your church. Items that seem urgent can often get our attention first. This trap is especially easy to fall into when you’ve not planned ahead and designated specific time for your spouse and kids. Get ahead of things and make a plan in advance. Block off times on your calendar. Designate specific and uninterrupted time for family. Rev. Theodore Hesburgh said, "The most important thing a father can do for his children is to love their mother." Modeling a healthy marriage is so important. Take time to invest in your marriage; you'll set an example for your church – both your marriage and ministry will benefit. There’s a big difference between time and quality time. With a busy schedule, it’s so important to be intentional with your time. Plan specific events that you know will be life-giving to your kids or family. Look for opportunities to share experiences, not things. There's a saying that the greatest gift one can give is his or her presence. Give that gift as often as possible to your spouse and children. It’s true, ministry can be all consuming. Let’s face it, there are many times you simply can’t pull away. In these seasons, are there ways to incorporate your family into the ministry? Take a moment to think about creative ways to get them involved. Having the whole family take part in ministry helps model Christ-like values and gets everyone’s eyes off of their own needs and onto others. "Having the whole family take part in ministry helps model Christ-like values and gets everyone’s eyes off of their own needs and onto others." Serving in ministry can be all consuming. It’s easy to go through the motions with your family when you have such a focus on ministry. There's a saying that "If the enemy can’t make you bad, he’ll make you busy." God, family, then ministry. Don’t fall into the trap of being so consumed with ministry to others that you sacrifice your family in the process. How have you intentionally prioritized your family over your ministry to benefit both?